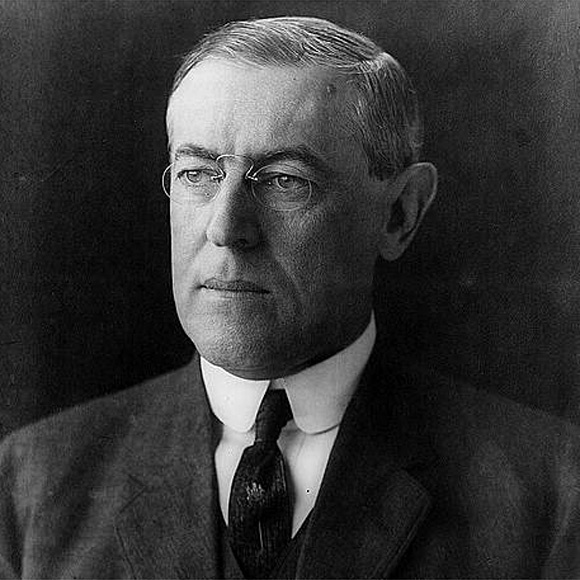 The Washington Post has an interesting piece on a bombshell revelation that in 1918, well before suffering from the stroke that debilitated him for the last two years of his second term as President, Woodrow Wilson underwent surgery that his physician regarded as life-threatening. The discovery was made in the letters of Dr. Cary T. Grayson, recently given by his heirs to the Woodrow Wilson Presidential Library in Staunton, Virginia, Wilson's birthplace. "The patient is progressing most satisfactorily, so far, and I have good reasons to hope for a most beneficial result. It has been a big undertaking. . . . No one knows anything about it except Miss E., Miss Harkins, Hoover -- It is one secret that has been kept quiet, so far, and I think it is safe all right now," the doctor wrote Alice Grayson in a July 16  telegram. The episode, which caused Grayson great anxiety, most likely involved an operation to remove polyps from the president's nose, according to Michael Dickens, a Charlottesville physician familiar with Wilson's medical history and the telegram. Historians say the telegram indicates that the procedure was then known only to Grayson; the president's wife, Edith Wilson; a nurse; and a White House usher [Ike Hoover]. It's long been suspected that Wilson, who suffered from headaches for years, had one or more--most probably undiagnosed--strokes before becoming President. It's thought that a major incident happened when he was on the faculty of Princeton University. He may have even suffered from a nervous breakdown in his pre-presidential years. Of course, a stroke that hit Wilson in October, 1919, during a speaking tour in which he pushed for US entry into the League of Nations precipitated a major constitutional crisis. The public was unaware of that fact at the time. Through the balance of his second term, which ran to March 3, 1921, Wilson was an invalid. He found it difficult to work or talk. In many ways, his second wife, Edith Bolling Galt Wilson, who he married in 1915, was the acting President in this period. But that Wilson had been frail well before his stroke was unknown until the Grayson letters were donated to the Wilson Library. "My number one patient in this house had an accident last night with one of his eyes -- the good one, which is bad now. I am hurrying off to Philadelphia with him at six o'clock tomorrow morning to consult an eye specialist. We are going by motor. I think we can make the trip less noticeable in this way -- . . . [T]he papers will read something like this: The President made his annual visit to the oculist etc etc." The letter was written during Wilson's first term at a time when many historians believe he was relatively healthy. "The president was suddenly taken violently sick with the influenza at a time when the whole of civilization seemed to be in the balance. And without him and his guidance Europe would certainly have turned to Bolshevism and anarchy. From your side of the water you can not realize on what thin ice European civilization has been skating. I just wish you could spend a day with me behind the scenes here. Some day perhaps I may be able to tell the world what a close call we had." There have been other presidential health cover-ups, of course. Grover Cleveland had a major surgery on his mouth while President. In a procedure only revealed years after Cleveland's second term, the President went on a summer trip. The press was told that Cleveland was vacationing. But the trip was really a rendezvous with a doctor who removed a major cancerous tumor from the President's jaw. Much of the bone was also removed. Cleveland needed to be fitted with a special rubber device. He spent much of the summer learning how to speak again. Because of concerns that a "crippled" man couldn't serve as President, Franklin Roosevelt learned to fake walking and standing upright even though he was paralyzed by polio in August, 1921, eleven and a half years before being elected President for the first time. John Kennedy's multiple health issues weren't known until years after his assassination in November, 1963. Interestingly, President George Washington was nearly killed by a smallpox epidemic that swept through New York City, then the nation's capital, during his first term. But no attempt was to conceal his illness or its gravity from the public. As in almost any other leadership category you can name, in this too, Washington sets an example that other Presidents would do well to emulate. Several Presidents survived their terms, but probably worked themselves to early deaths. That was certainly true of the relatively young James K. Polk, who died about three months after leaving office. He was fifty-three, a spent, exhausted man. Something similar happened to Chester Alan Arthur. He succeeded to the presidency after the assassination of James A. Garfield and served until March 3, 1885. He died on November 18, 1886, at age fifty-six. Roosevelt's cover-up is understandable, I think; he was, after all, refusing to cede his future to a prejudice against those who suffer from physical disabilities And Polk and Arthur simply made the same mistakes that many leaders have made through the centuries, deeming themselves so indispensable that they simply refused to delegate. Polk, who presided over the Mexican War among other things, said that he preferred to handle all the details of executive administration himself. He paid a high price for this preference. More indefensible than Polk's and Arthur's workaholism though, were the Wilson and Kennedy health cover-ups. If there was in those days the sort of disclosure and concern about presidential health that we have today, it's doubtful that John Kennedy would have even been elected in 1960. These newest revelations about the state of Wilson's health make me wonder if, under the current requirements that Presidents undergo annual physicals, the results divulged to the public, he would have been renominated in 1916. Wilson was a passionate figure. Though brilliant, charismatic, a fine orator, and a renowned scholar of US History and politics, he also was willful and stubborn to the extreme. A pattern of early success, followed by failure due to an unwillingness to compromise, exhibited during his time as president of Princeton University, was repeated during his brief tenure as New Jersey Governor and then as President. At Princeton, the issue that brought Wilson into disfavor was "reform" of the educational process he proposed. When alumni and other major donors raised objections, Wilson didn't look for compromise. He instead sought to use his oratorical skills to win people over. His efforts were foundering when the New Jersey Democratic Party, wanting to us a Progressive face to cover up its corrupt practices, asked Wilson to be their gubernatorial candidate. Wilson jumped at the offer. The bosses thought that they could control the college professor. But as soon as Wilson took office in 1911, he successfully overrode those responsible for getting him elected the previous November and secured passage of an impressive package of progressive reforms. However, in his second year, Wilson, who always overplayed his hand, was thwarted in passing more reforms. His all-or-nothing approach meant that throughout 1912, he was handed defeat after defeat by the alienated Legislature and enraged machine. No matter, though, because 1912 brought Wilson the Democratic presidential nomination. It was a fairly sure shot at the White House for Wilson because of a Republican rupture: Incumbent William Howard Taft was the nominee of the GOP; Taft's one-time sponsor, Theodore Roosevelt, was the nominee of the Progressive Party. The GOP was split, leaving an opening for the weaker Democratic Party nominee. In 1912, election to the presidency allowed Wilson to ride out of Dodge--Trenton--in the same way that the governorship had allowed him to leave Princeton. Wilson's first four years as President were relatively successful. But World War One brought out both his latent greatness and his self-destructiveness. When the war ended, he insisted on traveling to France for the treaty negotiations, which he hoped would be based on his Fourteen Points. That meant that the critical presidential business of maintaining relationships with a Republican Congress went undone while the chief executive was away. Then, at a critical juncture in the negotiations, Wilson's alter ego, Edward House, negotiated with the American Allies. Wilson felt that House gave too much of his program away. Furious, Wilson broke with House, the man who orchestrated his nomination in 1912. After the Treaty of Versailles was consummated, incorporating Wilson's League of Nations, the President threw himself into pushing for Senate approval. Wilson insisted on more than passage of the treaty, though. Its every jot and tittle, without change or amendment, would have to be accepted, he said. Having set the definition of victory at the all-or-nothing level, Wilson began his speaking tour in Columbus. It was later in Colorado that he was felled by the stroke that effectively ended his presidency. The treaty was rejected by the Senate, the US didn't join the League of Nations, and Warren Harding of Ohio was elected President on a platform of returning to "normalcy." Throughout a career marked by self-defeating intransigence, Wilson had various health problems. So, in a way, it comes as no surprise that his health caused Dr. Grayson so much concern well before the famous stroke. But what especially interests me in these newly-revealed letters is how, before twenty-four hour news channels or independent bloggers with immediate access to the worldwide web, it was possible for Presidents to conceal the state of their health not just for days, but years. This beautiful song, Little Willow, was written by Paul McCartney for the children of Ringo Starr and his first wife, Maureen, after Maureen succumbed to cancer. It's a poignant song and the video matches that mood perfectly. The latter, in fact, mirrors the experiences of McCartney, first in the death of his mother and then of his first wife, Linda. Both were victims of breast cancer. I was drawn to this song today in light of this event. Of course, as a Christian, important as the support of friends and family is in times of grief, my ultimate hope is in Jesus Christ, Who has unequivocally conquered death for all who believe in Him. But it's also true that the loving encouragement of others can be the very medicine for our souls that God wants to provide to us to remind us of hope beyond the grave. I believe that we wouldn't find death so difficult accept were it not for the fact that deep in our DNA, we know that we have been made for more. Thank God that in Christ, our hope for eternity isn't in vain! my brother learned that a friend of his from Kindergarten days and the best man at his wedding passed away. Kip had not been healthy for some time, having undergone heart bypass surgery two years ago and suffered from several other health issues. But it is a shock when one so young, just forty, dies suddenly. I'd appreciate your prayers for all who grieve, asking that God strengthen and inspire them with the hope that belongs to all who believe in Jesus Christ. In these posts, I don't intend to push a particular political agenda. Instead, I want to present a series of windows through which Christians might look at 2008 Presidential election. In the first post, I suggested that the first lens through which Christians might look at the election is the Bibical call to care about what happens in government, as a practical way of enacting the Christian's call to love God and neighbor. In the second post, I talked about as second lens, the Christian belief in upholding the rule of law for the sake of the neighbor. Now we come to Lens #3: God's call for justice and for believers to pursue it. These days, the Bible's emphasis on justice is often overlooked. To some extent this may be understandable: Much of what might be appropriated directly from the Scriptures on the subject shows up in the Old Testament, coming from a time when Israel, God's people, were part of a theocratic nation. No nation in the world today is a Biblical theocracy, making the mandates for Israel's judges and kings found on the Old Testament's pages difficult to apply, especially in religiously-diverse Western democracies. But the relative absence of the word justice doesn't denote an absence of concern for it on God's part. The concept of just treatment of others permeates much of the Old Testament law and prophecy, addressing not only the actions of kings, but also interpersonal relationships. And a commitment to justice is certainly apparent in Jesus' teaching, even in His voluntary death and resurrection for a human race weighed down by the curses of sin and death. In addition to not seeing love as primarily an emotion, contrary to our usual contemporary view, the Biblical writers would also be uncomfortable with our post-Enlightenment notions of justice, which are rooted in ideas about rights and entitlements. They would prefer to speak of the mutual responsibilities each of us have to share the undeserved blessings of God with others and to treat others with respect. The reality of God's grace operating in the lives of people who follow Christ is an objective truth, irrespective of the circumstances of our lives. It's a solid foundation that frees Christians to risk loving their neighbor. In practical terms, that means enacting God's love and justice in the ways in which we live, vote, buy and sell, trade, hire and fire, and so on. In elective political terms, it means that Christians should vote less on the bases of self-interest and more on the bases of the interests of our neighbors, far and near. Yesterday, I began this new series by saying that I wanted to present a set of lenses through which Christians can look at the 2008 presidential election, to help us all think about it as people of faith. The first lens I presented was this: The Bible teaches that we should care about what happens in government. Our active concern becomes a means by which we can share the love of Jesus Christ with others. Now, onto Lens #2: Christians believe in obeying the law of civil authorities, as long as those authorities don't command us to ignore God's will for human beings. Christians, for the most part, believe in upholding the laws of their society, even when they're not completely in agreement with them. We've believed this, as I mentioned yesterday, even when civil authorities were hostile to Christian faith. Christians then, believe in obeying the law of civil authorities, so long as they don't command us to violate God's command to love God and neighbor. Upholding the rule of law for the sake of our neighbor is an important reason for paying attention to the 2008 presidential election. 8But when Simon Peter saw it, he fell down at Jesus’ knees, saying, “Go away from me, Lord, for I am a sinful man!” 9For he and all who were with him were amazed at the catch of fish that they had taken; 10and so also were James and John, sons of Zebedee, who were partners with Simon. Then Jesus said to Simon, “Do not be afraid; from now on you will be catching people.” 11When they had brought their boats to shore, they left everything and followed him. (1) When Simon Peter sees the miraculous catch, an event this experienced fisherman knows to be "impossible," he falls to His knees. In the face of the evidence that in Jesus' presence, he's in the presence of God, Peter spontaneously renders worship. (2) But something else happens in this moment. It's what theologians would call numinous awe. Peter recognizes that Jesus is perfectly holy. Peter stands before the righteous God Who knows the hearts and thoughts of humanity. He knows that the blazing light of Jesus' perfection sees his imperfections and sins. He feels unworthy to be in Jesus' presence. And so, Peter asks Jesus to go away. The Bible often speaks of those with faith living in fear of God. Psalm 111:10 says, "The fear of the Lord is the beginning of wisdom; all those who practice it have a good understanding." What does this mean? To me, it means recognizing, as Peter did, that God is, in Lutheran theologian Paul Tillich's phrase, wholly other. God is my creator. God is infinitely greater in love, righteousness, morality. The closer we come to God, the more conscious we are of our imperfections and our need of forgiveness. Thankfully, that same closeness also allows us to see that the God Who died to set us free from sin and death is willing to forgive those who turn from sin and believe in Him. When Peter saw Jesus in His glory, he saw himself in his sinfulness. Fear drove Peter to his knees and to beg Jesus to go away. Because He is gracious, Jesus wouldn't comply with that request. (3) Notice that Jesus doesn't tell Peter to get up off his knees. Jesus accepts Peter's act of worship. If Jesus didn't regard Himself as God, allowing Peter to worship Him would have made both Jesus and Peter guilty of blasphemy. The charge that Jesus was guilty of blasphemy was one lodged by the Jewish religious authorities when they called for His crucifixion. Gestures and words of worship had unambiguous meanings in ancient times. Jesus accepted worship because He was (and is) God. Paul and Barnabas didn't accept worship because they were human beings just like us. (4) It's interesting that Peter is the only disciple specifically addressed by Jesus in v.10. He's addressed with the singular "you" by Jesus. Judgment does befall those who refuse to repent and believe, as John the Baptizer foretold. But in the multiple cultures in which the conquered people of Judea lived, the first followers of Jesus would have been aware of another level of meaning in Jesus' words about being fishers of people. NIB points out that in the Greek-Roman overculture, prevalent throughout the Mediterranean basin, fishing, attracting adherents was "the activity of philosopher-teachers." In the Gospels, the call to fish is "a call to gather men and women for the kingdom." We see then that fishing is also an activity of God's grace. (6) My professor and mentor Bruce Schein, a fine Biblical scholar with a doctorate from Yale, saw Old Testament imagery here. He pointed to the first creation account in Genesis 1. It begins before the beginning that God makes, with primordial chaos. In the Greek version of the Old Testament, the Septuagint, with which people of Jesus' first-century generation would have been familiar, the word for deep is bathos, a term denoting a roiling, dark, death-infested storm. Chaos. Throughout the Bible, one finds evidence of the view of the sea held by most of the ancient Hebrews. To them, it was a fearsome place of danger and death, filled with great monsters called leviathan. One of the ironies of the Old Testament book of Jonah, which tells the story of a prophet who tried to escape the call of God, is that God saved him by having him swallowed by a ghastly sea creature, a "great fish." Peter and the other fishermen probably used trammel nets to scoop large numbers of fish from the Sea of Galilee. When Jesus tells Peter that he will be a fisher of people, Jesus has in mind a rescue mission. Peter and all Christians have the same call, to venture into the chaos of the world and gently scoop people into God's net of first, judgment, the very kind of awareness of God's holiness that Peter experiences in this lesson, and then, of grace, which Peter also experiences. (7) Notice what Jesus tells Simon, "From now on you will be catching people.” This is different from the phrasing found in Matthew 4:19. There, Jesus is quoted as saying, "Follow me and I will make you fish for people." Which is more accurate? Who knows and who cares? But in Luke's version, Jesus gives a command. As Rick Warren points out, Jesus gives the Great Commission, the commandment to make disciples five different places in the New Testament. Christians are commanded to reach out and call others to faith in Jesus Christ. Luke's version of Jesus' words to the disciples about being fishers of people makes sense to me. (8) The call to follow Jesus is a call to action. We're to enact a life of actively seeking others to experience a relationship with Christ. We're to venture into the deep and fish for people. Last year, I wrote a series of posts on How Christians Might Think About the Immigration Issue. The purpose wasn't to proscribe a particular stance on this political hot potato. Instead, I wanted to present some Biblical faith lenses through which Christians might want to consider US immigration policy. In this series, I intend to do the same thing while considering the upcoming presidential election. That we need to begin thinking about an election that's some twenty-one months away is indicated by the fact that, sadly, the race is already on in a very public way. Even now, candidates are seeking our support. And they're doing so aggressively, engaging in much more than laying the groundwork of their campaigns or courting contributors. They're in the thick of seeking the support of voters and volunteers right now. I won't tell you how to vote. One reason for that is that I don't even know how I'll vote, especially since there's no way of knowing who the nominees will be. But another and more important one is that I would be loathe to suggest that any candidate is more Christian or more preferred by God over others in the race. So, lens #1: The Bible teaches that we should care about what happens in government. Our active concern becomes a means by which we can share the love of Jesus Christ with others. Peter was writing to Jewish Christians facing rejection and at least the possibility of rejection because of their faith in Christ. Politically, of course, these believers were subject to the Roman Empire. From time to time, the Empire was known to lash out at religious groups whose beliefs were at variance with Rome's worship of multiple deities. In time, of course, Christians would be subjected to widespread and violent pressure to renounce their belief in Jesus as the one true God and King. The latter belief--in Jesus as King--was seen by the authorities as a threat to the rule of the emperor. Christians have no interest in insurrection or political power plays. Jesus told Pilate, the Roman governor who sentenced Him to be executed on a cross, that His kingdom was not of this world. What Christians are interested in is sharing the Good News, whether in their words or actions, so that all who renounce sin and entrust their lives to Jesus Christ can receive forgiveness of sin and everlasting life with God. That's where Peter's words come in. As is true today, those who weren't part of the Church to which Peter wrote, suffered from all sorts of misconceptions about Christ, the Church, and Christians. I've told the story before of meeting with one couple, she a lifelong Christian and he a guy who had barely been around Christianity his entire life. The woman announced that her husband had some problems with the Church. I smiled and told him, "I do too. Why don't you give me your list first? Then I'll tell you what I don't like." He answered, "I don't like the way they blow up abortion clinics." Apparently, news reports about people who claimed to be Christians and perpetrated violence at clinics where abortions were performed were all this guy had to go on when judging what Christian faith is all about. As citizens, candidates, and voters, we Christians have an obligation to behave in such a way as to dispel the myths and misapprehensions and yes, the evil done by some in Christ's Name. Baptist pastor Gerald Mann says that one of the primary missions of Christians is to clean up the bad reputation given to God by other Christians. The call to love God and to love neighbor given to Christians by Jesus isn't a call to a vague sentiment of favor for either God or neighbor. It's a call to active, respectful living toward God and others. We're called to live lovingly even when we feel neither sentimental or favorable toward anyone but ourselves. Concerned citizenship, including familiarizing ourselves with issues, candidates, and platforms as well as voting, and doing so without rancor, disrespect, or prejudice, is among the ways we can express love for neighbor. Christians live in social orders, under civil authorities. By conducting ourselves honorably, paying our taxes, and exercising civic responsibility, we put the lie to notions that Christians are "so heavenly minded that they're no earthly good." Those Christians who are involved as citizens--including engaging in thoughtful conversations, Christian and non-Christian about who our next Presdient should be--earn the opportunities to fulfill our highest callings as Christians: sharing Christ with those who experience our love, rationality, earnestness, and concern. The Bible teaches that we should care about what happens in government. Our active concern becomes a means by which we can share the love of Jesus Christ with others. Based on what a group of Brits did during World War Two, here's a great thought: Pray every day at 9:00PM Eastern Time "for peace between nations." I would add "peace within nations." The *Daniels Fairness Patrol, an altogether non-partisan emphasis, must go into action again. I mean, you got the first mainstream African-American who is articulate and bright and clean and a nice-looking guy. Clean! So, then, Biden's campaign is over, right? Imagine if Rush had called Obama the "first...clean African American." It's clear his career has dragged on one election cycle too many. But let's get out of the spin cycle for a moment. "Look, this guy's incredible," Biden said. "He is really bright. He's fresh. He's new. He has great ideas." My guess is that in the NYObserver article, "clean" was a synonym for "fresh" for Biden. He also lauded the fact that in 2008, there will be a credible female candidate and a credible African-American candidate for President. Biden does tend to speak off the cuff, which, irrespective of his politics, is something that makes him refreshing to hear. His interview with CSpan, featured prominently on his web site is so refreshingly candid that it reminds you of the interviews given by those who've retired from politics. Freed from the oppression of handlers, ex-pols tend to reveal more of their true selves, making me lament the fact that while "in the game," they concealed a lot of their humanity. But there are obvious risks to being so transparent. 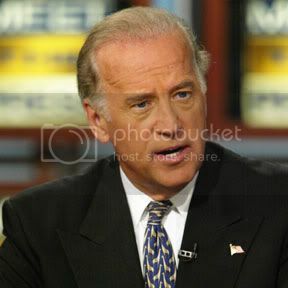 There's little doubt that Biden stepped into it and it is the kind of thing that could prove fatal to his campaign. But I don't think that Joe Biden, who involved himself in the push for civil rights back in his 20s, is a racist. 1Once while Jesus was standing beside the lake of Gennesaret, and the crowd was pressing in on him to hear the word of God, 2he saw two boats there at the shore of the lake; the fishermen had gone out of them and were washing their nets. 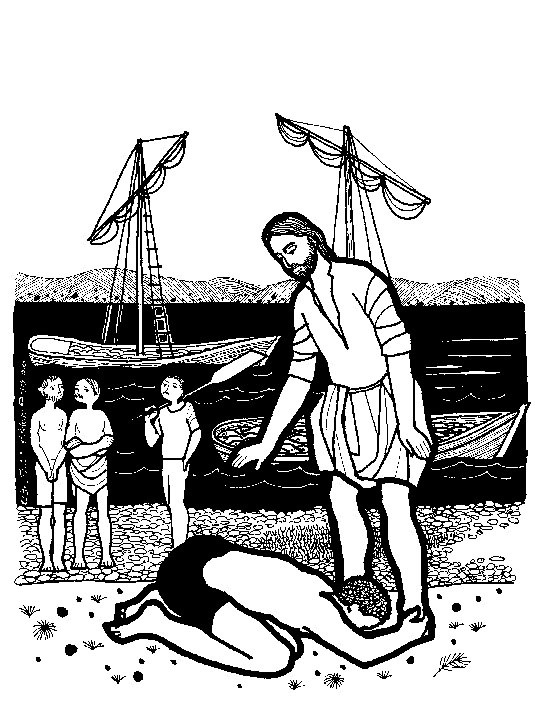 3He got into one of the boats, the one belonging to Simon, and asked him to put out a little way from the shore. Then he sat down and taught the crowds from the boat. (1) As mentioned in the first pass yesterday, the first three verses of our lesson constitute the first of its three sections. It establishes the setting by the lake. (2) The crowds are anxious to hear the Word of God. I believe that, whether they know it or not, people still hunger for the life-giving Word. The fact is that they don't always like it when they hear it, though. (3) It was the practice of first-century fishermen to troll the Sea of Galilee at night. (See yesterday's pass.) Now, they're washing their nets. To fish, fishermen dragged nets through the water. There were probably three different kinds of nets used. The fact that the fishermen were cleaning their nets may indicate that they were using what today are called trammel nets, "a line of three nets hanging from floats, the inner net having a small mesh that trapped the fish." (4) Unlike similar accounts in Matthew and Mark, the haul of miraculous fish that results in Jesus' declaration about becoming "fishers of people," in Luke happens after Jesus has come to know Simon (Peter). So, it isn't strange that Jesus would climb into Simon's boat and ask him to put out a little distance from shore. Notice that once Jesus was in Simon's boat and it had pulled a little from shore, He sat down and taught. 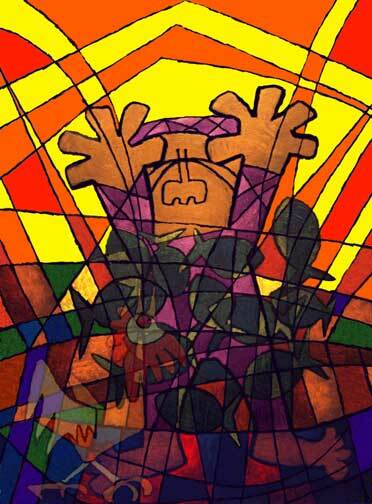 One might think of Jesus as the King enthroned. 4When he had finished speaking, he said to Simon, “Put out into the deep water and let down your nets for a catch.” 5Simon answered, “Master, we have worked all night long but have caught nothing. Yet if you say so, I will let down the nets.” 6When they had done this, they caught so many fish that their nets were beginning to break. 7So they signaled their partners in the other boat to come and help them. And they came and filled both boats, so that they began to sink. (1) Bible scholar David Tiede insists that this is not a simple story about the call of Simon and the other fishermen. It is what he calls an epiphany call story. Epiphany, remember, involves a revelation of God, or of the deity of Christ, or of a truth about God and our relationship with Him. The focus of the Epiphany season is considering those places in which Christ revealed Himself to be more than just a human being, but also God, and the implications of those revelations for our daily lives. These [Exodus 3, Judges 6, Isaiah 6, and Luke 5:1-11] are all epiphany-call stories and their structure indicates their meaning. The human person is located quite precisely, often in the midst of mundane tasks. [In this lesson, Simon Peter.] The display of divine presence is quite dramatic or miraculous. In fact, these displays are so impressive that they may take over the stories, as if the burning bush, the fire form the rock, the transformation of the temple, or the boatload of fish were the point. No doubt these wonders will astonish and delight every new generation which hears about them. But these demonstrations of divine power and presence are consistently focused on the call of the prophet, judge, or apostle. In other words, the miracle of the fish is meant to be a sign to Peter to follow. (2) Peter accedes to Jesus' request in spite of common sense and his professional experience. He knew that the night was the best time to catch fish. He knew all the prime spots. And yet, he complies with Jesus' directive. (3) Some scholars say that this sign isn't to be read metaphorically. The fish, they insist, are still nothing but fish, not to be read as symbols for people. I DISAGREE! It seems to me that, on the bases of what Jesus says in the subsequent verses of our lesson, that He had every intention that this sign be understood metaphorically. "You will be a fisher of people," He tells Simon. "You're going to scoop people out of the chaos of sin and separation from God," Jesus tells His followers. "And you're going to bring them into fellowship with Me and My Church." The result of Peter's actions is a catch of fish that required more workers to deal with the abundance that God had provided. Although I am not a fisherman, I would think that it would have taken a whole lot of work to get so many fish into the boats. Couldn't God have made it easier on these fishermen and had the fish jump right into the boats? Aren't there many congregations who think that way about their own "growth"? If God wants us to grow, God will have the crowds flocking to our doors. When talking about evangelism in one church I served, a member answered, "They know where we are. We advertise our worship times in the yellow pages and when the doors are unlocked." He expected God to make any new members jump through those open doors. That does happen at times. It is much more likely that a large catch of fish – or of new members – will take a lot of work by those who are already in the boat – those who are already members of the church. Churches only grow when its members venture into the deep--into the thick of everyday life--and go fishing! Are Conservatives Republican Enough to Win in 2008? As this article from The Wall Street Journal points out, many Republicans who look at the 2006 midterm election results explain it this way: Republicans lost because they weren't conservative enough. But there may be a good argument that, as this article implies, the real reason can be formulated in the opposite way: Conservatives lost because they weren't Republican enough. Arguments can be made for the validity of both parties' approaches, of course. Theodore Roosevelt, who borrowed the African maxim, "Speak softly and carry a big stick," a classic statement of the realist school of foreign policy, nonetheless violated the notion of the restrained, implied use of power by taking Panama in order to build a canal. Eisenhower approved the toppling of one Iranian government and the enthronement of the Shah. Bill Clinton, after the 1994 midterm elections handed his party major losses, declared at the next State of the Union message that the era of big government was over. Richard Nixon started the Environmental Protection Agency and Theodore Roosevelt got our national park system going in a big way. Jimmy Carter repeatedly got himself into trouble with Democratic majorities in the Congress while enjoying generally good relations with conservative Republicans because of his emphasis on frugality. But, broadly speaking, the foregoing bullet pointed characterizations have been among the core principles of the two parties over the past one-hundred years. In various circumstances, they've proved to be convincing formulas for them at the polls and effective principles for policy. But, with the rise of neoconservatism, Republicans in both the White House and the Congress appeared to set a different course. It seemed to marry conservative ends with Democratic means. The question is: If conservatives acted more like traditional Republicans, would they have a better chance of winning in 2008? Read the entire WSJ piece. "Any talent is a gift," he told an interviewer. "We're obligated to work as hard as we can at whatever talent we're lucky enough to have." I wish that I would remember that. Christian theology calls it good stewardship. 2. The miraculous haul of fish recounted here appears to be at least partially paralleled in the other Gospels, most notably in John 21:1-14. Relative to the John passage, the late Biblical scholar, Raymond Brown, identified ten parallels between these two incidents. Some scholars believe that Luke has taken a post-resurrection appearance of Jesus and placed it at the beginning of Jesus' earthly ministry, all in the interest of creating his "orderly account," maybe. But I personally find no need to think that this doesn't reflect a separate event when Jesus called Peter and the other fishermen to follow. 3. This is the only place in the entire New Testament where the Sea of Galilee is identified as "the lake of Gennesaret." Gennesaret is the plain in which the Sea of Galilee is found. Our lesson then begins with Jesus not engaging in miraculous signs, but in teaching...to crowds hungry to hear what He'll say. 6. The NIB also points out that, as so often happens in Luke's Gospel, the account is framed by an entrance and a departure. At the beginning, the crowds enter. At the end, the disciples leave, following Jesus. Jesus doesn't excuse pain and suffering. Nowhere does he attempt a theological justification for death. Death and suffering exist; God is good. The paradox that confounds us is left unexplained. What Jesus does say is that when we mourn, when we suffer, God will stand beside us. In our pain, God will embrace us. Please do read the whole thing! Should Clergypeople Be Elected to Public Office? On the day when one ordained clergyperson announced he was forming a presidential exploratory committee, another who served in Congress for ten years passed away. Former Arkansas governor Mike Huckabee, a Southern Baptist minister who once was president of his state's Baptist convention, is, as has long been speculated, looking at a run for the Republican presidential nomination. Father Robert Drinan, a staunch liberal and ardent opponent of the war in Vietnam, resigned from Congress in 1981, at the end of his fifth term, "after the Vatican ruled that no priest could hold a legislative position." He died yesterday. Through the years, I've known of several clergy-politicians, particularly during my brief tenure as a staffer of the Ohio House of Representatives. This may surprise some people. In fact, when people learn of my background in politics--I also ran a congressional campaign more than three decades ago--the typical comment is, "Wow! You really had a conversion experience!" But clergypeople and politicians, at least the good ones, are often motivated by similar desires to improve the human condition and to serve others. There's also probably an element of ego in the motives of both pastors and pols, a desire to be in the spotlight, evident even in those who feel called by God to their professions. This side of the grave, we will never wash sin out of our lives, however altruistic and commendable our actions may be. But is the election of an ordained clergyperson an inherent risk? I hope not. I myself ran for the Ohio House of Representatives three years ago, finishing fourth in a five-way primary race. While I now feel that run may have been a mistake, I see nothing intrinscially wrong with it. From a Christian perspective, a pastor differs from other members of the Church only in function. Pastors are called to a ministry that my own Lutheran tradition calls "Word and Sacrament." Such ministry doesn't always happen in a congregational setting. There are pastors serving as administrators of social service agencies, as college professors and presidents, and in other such church-related roles and nobody questions their continuing faithfulness to their callings. The word pastor means shepherd. In a sense, all pastors are called to fulfill the same ministry Jesus gave to the apostle Peter. In the last resurrection appearance recorded in the New Testament gospels, Jesus told Peter to, "Feed my lambs...," "Tend my sheep...," Feed my sheep..." (John 21) The pastor is called to be a servant leader who helps the sheep--the human race--to experience the grace and new life Christ wants all people to experience. Churches have proven quite expansive in defining what's involved in pastoral ministry. The late Fred Rogers, for example, had already long been the host of his daytime children's show, MisterRogers' Neighborhood, when he attended seminary. He was ordained in the Presbyterian church, with a call to television ministry to children. While Rogers never preached Christ on PBS, the grace of Christ certainly came through his work. As I see it, there is one big danger, again from a Christian perspective, in clergypersons getting involved in politics. It's the danger of seeming to say, "Thus saith the Lord..." about one's own individual political views. God isn't a Republican or a Democrat and separation of Church and State is good for both. A pastor involved in politics risks subordinating the Good News--that God so loved the world that He gave His only Son so that all who believe in Him will live with God forever--to particular isms. This no doubt is why the Vatican told clergy to get out of politics in 1980. Christian laypeople are under no less obligation to live the Christian ethos of love for God and neighbor, to tell others about Christ, and to pray for others than are their pastors. That being the case, it's fair to point out that the lion's share of US presidents confessed faith in Jesus Christ. The funeral of Gerald Ford and the eulogy for him delivered by his successor, Jimmy Carter, have recently reminded us that for some of our Presidents, faith in Jesus Christ has been central to their lives. Yet their faith didn't threaten the Republic. Some of our Christian Presidents have been Christian in name or membership only, no doubt. Some clergy who've been elected to public office have probably been hypocrites too. After all, everybody is drawn from the same human stock, each of us corruptible and mortal. But I think we can say that just as the Republic isn't threatened by people of faith, whatever their faith, serving in public office, there's no inherent danger when clergypersons become public officials. Only one ordained person has ever served as president, Ohioan James A. Garfield. His administration ended after he'd been in office 199-days when Garfield was gunned down by an assassin. Civil service reform was a major goal of Garfield's. His successor, Chester Alan Arthur, wasn't expected to do anything about that. Arthur had been the collector at the Port of New York and while not personally corrupt, looked the other way while those who were stole from the federal treasury there. But Arthur, a pastor's son, decided that he wanted to institute Garfield's reforms, shocking his one-time allies and becoming one of our most courageous presidents. Faith very probably affected the agendas of both Garfield and Arthur once they were in the White House. That didn't turn out badly. A few weeks ago, Ohio swore in a new governor. Democrat Ted Strickland, a former Congressman, is also an ordained clergyperson of the United Methodist church. While there are those who disagree with his politics, it's not because he's a pastor. By the way, at his recent Inaugural ceremony, Strickland himself gave the opening prayer. The joke is that we Lutherans have three Sacraments: Holy Baptism, Holy Communion, and Potlucks. Tonight, we had a great potluck at the building of our congregation, Friendship Lutheran Church. With us were some folks from several other area Lutheran congregations and some very special guests. The guests were a family of four for whom and with whom we'll be building a Habitat for Humanity home this spring. The "build," as it's called in Habitat parlance, is made possible by a grant from Thrivent Financial Services for Lutherans. This not-for-profit organization provides all sorts of top-notch financial products to Lutherans. Revenues, in turn, are poured into all sorts of projects that Lutherans undertake. Thrivent matches monies raised by Lutheran believers in Christ around the country, making it possible to extend and expand their efforts to share the love of Christ in practical ways. Funded projects might be community playgrounds, the uncovered medical expenses of someone suffering from catastrophic illness, planting community gardens, repairs on church buildings, or thousands of other things that benefit communities and churches. Several years ago, Thrivent announced a major partnership with Habitat for Humanity called Thrivent Builds. Thrivent gives grants to local "branches," composed of Thrivent "members" from one, two, or three local Lutheran congregations which provide about 65% of the cost of a new Habitat home. It's then up to the branch members to help raise the remaining money, provide the labor, and, of course, undergird the whole thing with prayer. In 2006, Lutheran members of Thrivent were part of building a total of 313 Habitat homes. That's one home every twenty-eight hours! This year, Thrivent will provide core funding for the construction of 355 homes nationwide. The branch of which our congregation, Friendship Lutheran Church of Amelia, Ohio, is a part will build one of those homes this year. The purpose of tonight's potluck was to kick things off and to allow us to meet our newest Habitat family. Our congregation has been involved with Habitat in the past and it's a truly rewarding experience. It's a wonderful thing to be part of working with a family to provide them with something many can take for granted, a home of their own. The family itself, as you may know, also participates in the construction process, their labor considered "sweat equity," part of their "payment" for the home. Late last June, when the Servanthood Team decided to set what they considered a modest goal--500 outside-the-congregation service hours by Friendship folks before the end of the year, I went along with them. But I wondered if we could make the goal. The fact is, you smashed that goal. Now, we face another daunting task: Joining other Lutheran churches and others in the community with the construction of a new Habitat for Humanity home in New Richmond. I want you all to know right now: We can’t do it. But through us, the God we meet in Jesus Christ, can! Are you willing to believe in Him? Willing to rely on Him? Then, be at the Welcome the Higginses potluck tonight as we begin this new venture. While we build the house, Jesus Christ will build in us a sturdy, loving faith that reaches out to others. Jesus is the Savior Who turns our missions impossible into missions accomplished! I believe that, precisely because I've seen Christ work through believers in the real world to bring real blessings to real people! Where Jesus Christ is All-in-All! Oh, blest that house; it prospers well! My house and I will serve the Lord! Former Secretary of Defense Donald Rumsfeld got himself into hot water a few years back when he said to soldiers during a Q-and-A session: "As you know, you have to go to war with the Army you have, not the Army you want." What he said was seen by some as an insult to our nation’s soldiers, although I think he was really referring to how the military was supplied at the beginning of the war in Iraq. Be that as it may, the phrase stuck, “You have to go to war with the Army you have, not the Army you want." I kept thinking of it this past week as I was preparing for this message. For centuries, God’s people had waited for the Messiah, the anointed King Who would vindicate His people’s trust in Him. But when He showed up after years of waiting, would the Messiah they had turn out to be the Messiah that they wanted? It’s too bad that we got snowed out last Sunday. That means that most of you didn’t hear it as we read and considered last weekend’s Bible lesson, which recounted the first part of the incident completed in today’s lesson. Jesus, already being celebrated for His teaching and miracles in other parts of the region of Galilee where He grew up, returns to his hometown, Nazareth. As He and His townspeople go to worship in the synagogue that sabbath, the people of Nazareth are excited to hear what this hometown hero has to say. They’re bursting with pride and certain that Jesus is going to rouse them with affirmations of their favored status with God, of their goodness, and of the evil of the non-Jews, the Gentiles, people they were sure God hated. At first, all goes well. Just like us here at Friendship, first century Judean synagogues had their typical worship liturgy, an arrangement of the worship order. It was probably optional for them to read a lesson from one of the Old Testament prophets. It was also customary to ask a visitor, which Jesus now was, to read a lesson and to expound on it. The synagogue must have been filled with electricity! This was the moment at which Jesus decided to show them that the Messiah that they had might not be the Messiah they wanted. There was a sin of which they refused to let go. There was a way of life they refused to take up. Both are fleshed out for us by two incidents from the lives of two Old Testament prophets that Jesus reminds them of and by their reaction to His reminders. “There were many widows in Israel in the time of Elijah," Jesus reminds them, "when the heaven was shut up three years and six months, and there was a severe famine over all the land; yet Elijah was sent to none of them except to a widow at Zarephath in Sidon.” Elijah was sent by God to bless not a widow in Israel, but one in the hated city of Sidon, Jesus remembers. Then, Jesus says: “There were also many lepers in Israel in the time of the prophet Elisha, and none of them was cleansed except Naaman the Syrian.” A commander of a foreign army had complied with the word of God to receive healing. Jesus really knew how to end a celebration! His words came at the worshipers in Nazareth like a roadside bomb. By recalling how God, centuries before, had ignored the people who claimed to be His own, the Israelites, the Jews, and had instead gone to foreigners to bless them, Jesus was confronting His townspeople’s sin and condemning them for the way of life they refused to embrace. I find that Jesus’ words confront and condemn me too. The sin of the people of Nazareth was pride, what we might call arrogance. They thought that they had a monopoly on God and a corner on the righteousness market simply because they had inherited the physical DNA of the very first Hebrews, Abraham and Sarah. Yet Jesus was telling them that He had been sent to be the One Who could save all people who trusted in Him from sin and death. My great-grandmother learned that the love and lordship of God is an expansive thing, able to include all people, in a very vivid way. She was an active member of Glenwood Methodist Church in Columbus, starting with her move to the west side of town in the 1920s. One day, a group from her white church accepted the invitation of an African-American congregation in Columbus for a program. Forty years later, my great-grandmother told me how people greeted her group at the door: "Welcome, white brother. Welcome, white sister." She was struck tto, when a young girl who couldn't read recited Scriptures to her. My great-grandmother saw the kingdom of God can live in the hearts and lives of all who believe in Jesus, no matter their race or station. The sin of which the people of Nazareth refused to let go was the arrogance that said they alone were worthy of God. And that leads us to the way of life that Nazareth refused to embrace, the way of faith, of trust in the God we meet in Jesus Christ. They didn’t trust in God, but trusted in other things: their heritage as Jews, their obedience to religious rules, their performance of certain rituals in worship. This was the very fake faith that John the Baptist was lashing out at in His ministry on the Jordan River near Jerusalem (as paraphrased by Eugene Peterson in The Message), “Don't think you can pull rank by claiming Abraham as 'father.' Being a child of Abraham is neither here nor there—children of Abraham are a dime a dozen. God can make children from stones if he wants. What counts is your life. Is it green and blossoming? Because if it's deadwood, it goes on the fire." Jesus’ message at Nazareth is the same as John’s message was on the Jordan: It makes no difference if Abraham’s blood is flowing through your vains, if God’s grace isn’t coursing through your life. And it makes no difference if you were baptized, confirmed, and occupy a place on the worship roster of a Lutheran church, if you don't trust in God! The good news is that through Jesus Christ, we can depend on God. We don’t have to depend on ourselves. Forgiveness and life with God that lasts forever are free gifts to all who trust in Him! Are you willing to trust in God completely? Are you willing to rely on Him? I ask you only if you are willing because I’ve learned that we can’t talk ourselves into trusting God. We can only be willing to let Him build faith in us. We can only ask Christ to come into our lives and rebuild us every day. We walk where He seems to lead us. One woman with faith not in herself, but in God. One woman who thought that people she’d never seen before mattered to God. One woman grateful for the free gifts of new life that Jesus came to bring all willing to trust in Him, willing to rely on Him. The people of Nazareth were dismayed. Jesus wasn’t the Messiah they wanted. But thank God, He’s the Messiah we have, the one we need.